Yesterday, I kicked off my top three games of the year list with the b-horror movie masterpiece, Until Dawn. For the second game on my “best of” list, we’re going to another corner of the horror universe for a fresh take on a tired genre–Dying Light. I think it’s safe to say that Dying Light pretty much blew everyone’s expectations away. Techland developed the original Dead Island, which I had a ton of fun with. 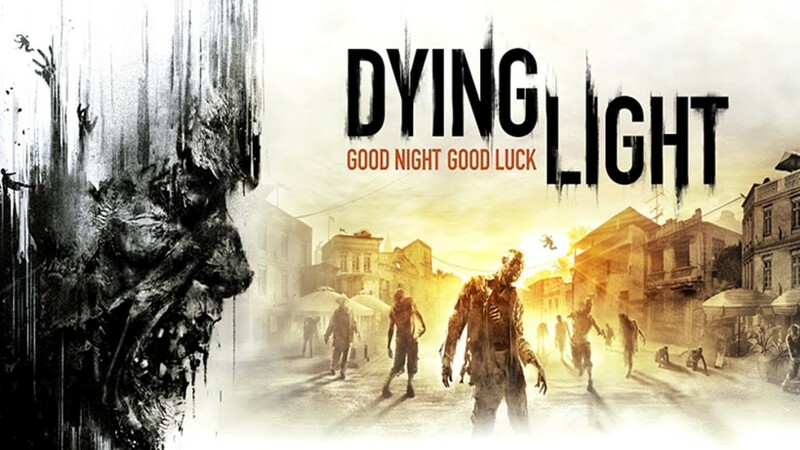 I (along with many others) expected Dying Light to be a spiritual successor to that game, with slightly better visuals and perhaps an extra coat of polish. And Dying Light definitely is that spiritual successor, but it’s also an evolution of what Dead Island was, and it’s superior in every way to that game. In fact, it’s superior to many other open world games that were created with much larger budgets and development teams. Dying Light takes place in a Turkish city (Harran) that is under quarantine due to a virus that has turned the majority of the population into rabid, zombie-like maniacs. You play Kyle Crane, an operative for the Global Relief Effort, who is hired to retrieve information related to the virus outbreak that could paint the GRE in a very bad light. Crane is sent into the quarantine zone, and everything goes to hell after that. Dying Light is a game that is so much more than the sum of its parts. There are so many systems working together to make the overall experience a blast to play. In addition to the open world, the crafting and weapon upgrade systems and the character leveling system, there are two aspects of Dying Light that really set it apart–the day/night system and the movement system. In Dying Light, the freaks come out at night–seriously. In addition to normal enemies being faster and more powerful after the sun goes down, there are special enemies that only come out at night, and they are brutal. But taking down enemies at night is worth more XP, so there’s a tangible reward for the risk you take when you venture out into the darkness. Of course, there are some missions that force you to go out at night, but for much of the game, you can avoid the darkness if you don’t want to deal with the added challenge night brings. The day/night cycle really lends a sense of dread to each sundown, and getting caught out in the city at night can be a terrifying experience–so keep an eye on the sun. From a gameplay standpoint, the star of Dying Light is its movement system. The Parkour-based traversal is equal parts Mirror’s Edge and Assassin’s Creed, and it works better than both of them. From the outset of the game, you can glide around the rooftops of Harran, and as you level up, it only gets better. When you get the grappling hook later in the game, you basically become Spider-Man. The fact that Dying Light implements all of the aforementioned systems well is truly an achievement. Everything just works, which means you as the player can just dive into that sandbox and have fun. Dying Light might be the surprise hit of 2015, and I can’t wait for the expansion (The Following) that will be arriving in February. We recorded a bunch of Dying Light videos and dedicated an episode of the Co-Op Critics podcast to the game, which you can listen to right here. Come back tomorrow for my top game game of 2015! *P.S.–Dying Light also has an amazing soundtrack, composed by Paweł Błaszczak. Totally worth grabbing, it’s very John Carpenter-esque and makes great writing music.